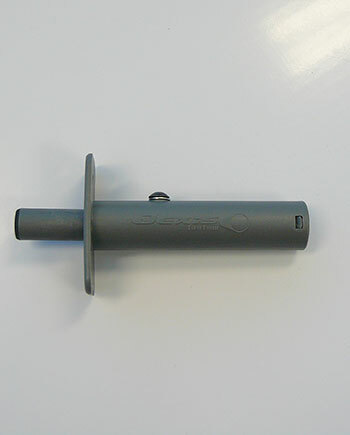 The Jexis Cavity Release is a neat alternative to front edge of door hardware for retrieving doors from cavity pockets. The Jexis works by loading a spring mechanism when opening the door (specifically the last 15mm). Once the spring is charged, simply push on the door edge to release the spring catch and the door is propelled up to 100mm from the pocket. Note: Glazed doors require available depth of 120mm. Easy to fit - average installation time is less than two minutes and the only tool needed is a drill, two bits and a couple of screws. New or existing doors (timber only). No maintenance required (fit and forget).